June 19th, 1999 to Nov. 20th, 2011. 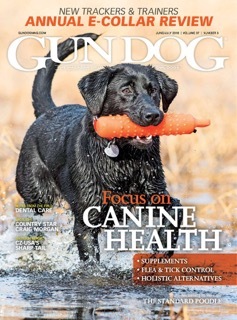 SAUK RIVER PUP ON JUNE / JULY COVER OF "GUNDOG MAGAZINE". Beautiful cover shot of a pup from Sire: Sauk River Razor and Dame: Sauk River Aspen. The photo was taken by Steve Oehlenschlager. INTRODUCING ...SAUK RIVER "KING - POINT"
New Stud dog From Featherstorm's Line. OFA Excellent. Elbows Normal. EIC clear. CNM Clear. Prcd CLEAR. 2019 Better than ever ! 2018 was fun and very busy training year here. We are training the 3rd dog now for some of our clients. We enjoy the chance to interact with our owners, and training clients over the long term. Nearly every training dog scheduled for 2019 belongs to a client whom we have worked with before. Most of our pups this year are being placed with people who purchased from us before. Renewing those connections is joyful. and the dogs who may own us yet before we end our time afield. Thank you for the gift of companionship and fun which you bring to these spectacular working dogs. Jane and David are here to be of service to you. If we can help to reach your training goals for 2019 - 2020. To our family of owners. your pictures, your videos. your stories. Our first three litters of 2019 are planned. SAUK RIVER " K I N G " ! We finally have a new sire we think is worthy of succeeding Jake, Phoenix, Boz, and Deke. Being selective is not always quick, and can be expensive. but choosing a really good male is worth the wait. "King" is a product of the best dogs we have owned and trained. As of August 2018... KING ! will be a featured sire. We are excited for our owners and excited to be training his pups soon. King is raised and trained by David, and is owned by Dan Zajac. Owned by Eric Morken, and identified / trained by Troy Benson... Ole has produced fantastic pups for our owners. He is the featured sire for our two summer litters. Check the upcoming litter page often for updates. If deposits look full, please call David or Jane. We sometimes have a "phantom litter" which is not advertised, in order to help folks get a pup. There are still limited openings available for summer training in 2019. Please call to book a training spot. It will be an honor to train for you. Our "checklist training"" has been a hit with our clients. Clients appreciate knowing that extra time is at no cost. Our passion is pointing labs. David has not only trained pointing labradors from across the nation, but has trained Vizlas, musterlanders, pudelpointers, Brittany spaniels, Golden retreivers, setters, and shorthairs, and wirehairs. We do try to prioritize our own puppy owners and past clients... but welcome your pup is welcome no matter where he / she is from. so call or e-mail... we will try to work you into the schedule. Training Fee for 2019 is $1 4 0 0 for the full started program. $ 700 after the 1st month. the balance on graduation day. For 16 years now, We have been both very lucky, and very good at the core of our program. Jane and I welcome your visit. We look forward to serving you throughout the life of your dog. To our Family of Owners: Thank You for Your updates! To owners of Sauk River Dogs.. Please keep the updates coming. Jane and I are gratified by the number of stories we are hearing from our owners... and the response of other hunters to your dogs. 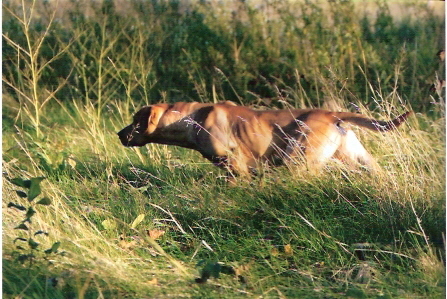 We are getting many referrals from hunters who had the opportunity to hunt with your dog. Thank you for your continued support for what we do here. Sauk River Pointing Labradors pleased our owners in a variety of settings from Mexico to Canada. Here are some locations we have heard from this year: Game bird species are hi-lited to emphasize the diversity of success with Sauk River Dogs. 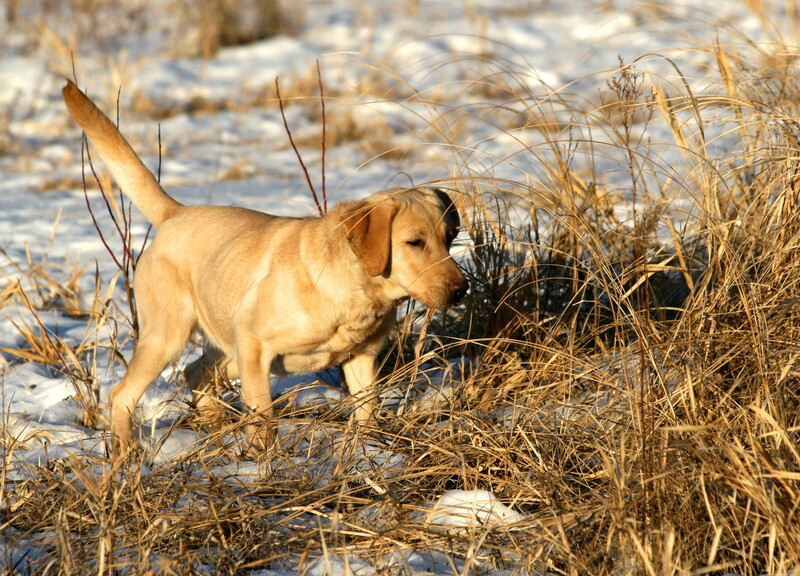 Sauk River Dogs are on Pheasant in The Dakotas, Iowa, Kansas, Nebraska, Montana, Illinois, Minnesota, and Pennsylvania. Sauk River Labs are pointing and retrieving Grouse and Woodcock in Vermont, Maine, Conneticut, New York, Quebec, Ontario, Wisconsin, and Minnesota. Sauk River Dogs are working Ducks and Geese along all four flyways, from Canada to the Gulf of Mexico. .. also sea ducks on both the Atlantic and Pacific oceans. Waterfowl, doves and quail in Texas, Oklahoma, Arizona and across the border in Mexico. Just look what "Jake" started, and what DEKE and RAZOR have inherited. Our door is open for your scheduled visit. Video of a Year - old PHOENIX x SCARLET pup on point. The video is 7 min long. Gauge actually points at about 4 min 30 seconds. I had to shoot the bird while filming. Made the shot which is rare for me! Gauge, who is a very good marker, misses this mark as he heels back to me during the shot. Gauge holds point with good control for an 11 month old dog. This dog was with us for 2 months of Training. He hunts quail with his owner in his home state of Alabama. 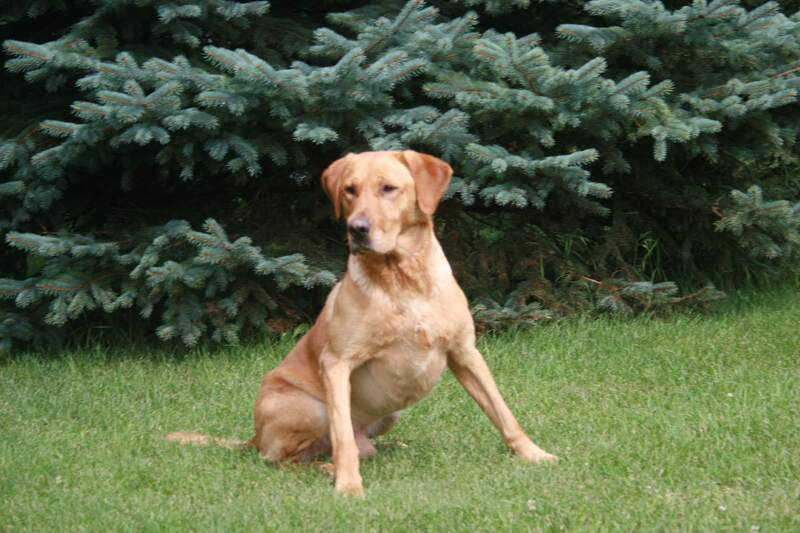 Sauk River Retrievers is an organization Dedicated To Excellence in the breeding and training of Pointing Labradors. Please call or e-mail or David or Jane personally if you have questions about an upcoming litter, started dog, or training for your gundog. Some of you waited nearly a year to obtain a pup in 2018 We appreciate your patience as we look ahead to 2019. As many will attest.... It is worth the wait to take advantage of the years of selection and testing we have been through to arrive at the quality of dogs we breed today. We invite anyone who finds mistakes on our website to notify us. Thank You for your feedback! © 2016 Sauk River Retrievers. All rights reserved.